Thankfully, Ella wasn’t home for dinner when we had this delicious spicy pork and rice dish from the Hairy Dieters cookbook. It was just the right amount of spice for me but would have far too spicy for her. 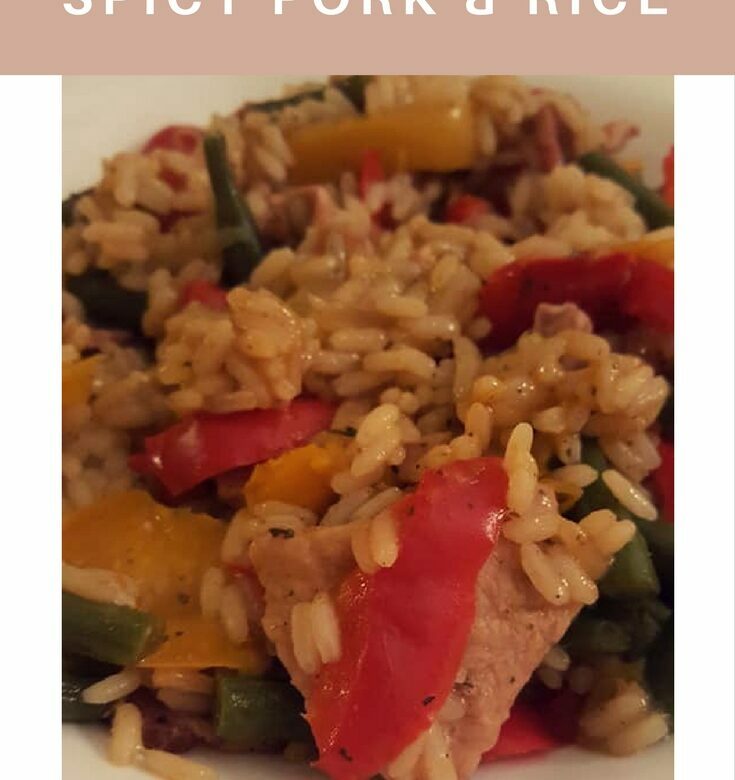 We made a few changes to the recipe in the Hairy Dieters cookbook to make this syn free on Slimming World. Heat the oil in a large, non-stick deep frying pan or sauté pan. Fry the onion wedges over a medium-high heat for 3 minutes until they’re softened and lightly browned, stirring regularly. Season the pork with salt and black pepper, then add it to the pan and stir-fry with the onion for 2 minutes until lightly browned. Add the bacon, garlic, peppers and beans and stir-fry together for 2 minutes more. Sprinkle with the spices and stir in the rice, then pour over the stock and bring to the boil. Reduce the heat to a simmer and cook for 20 minutes, stirring regularly, until the liquid has been absorbed and the rice and pork are both lovely and tender.